POTENTIAL Taylors estate agents are delighted to welcome to the market this three bedroom semi detached family home, in need of refurbishment but has accommodation briefly comprises of entrance hall, lounge, kitchen, utility and cloakroom, first floor comprises of three bedrooms and a wet room. Outside there is a potential building plot and potential to extend (STPP). For more details please call 01525 715225! Double glazed UPVC windows to front and rear aspect. Fitted to comprise of wall and base units with roll top work surfaces over, space for oven, wash hand basin, window to rear aspect overlooking the garden, door to utility. Low level WC, wash hand basin and wall mounted shower. 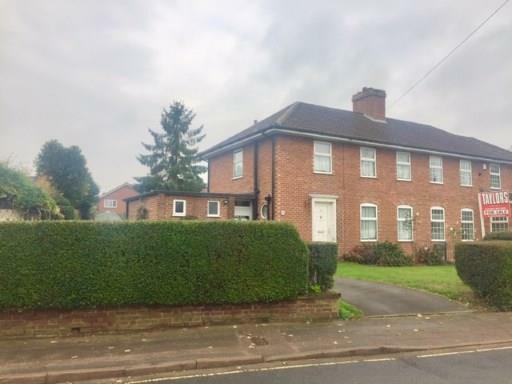 Large garden with potential building plot, driveway leading from front round to the side of property.